In most refugee areas, the U.N. High Commissioner for Refugees has no fixed office; its staffers make only sporadic visits for which refugees make appointments over the phone. It’s that phone call that is the problem. 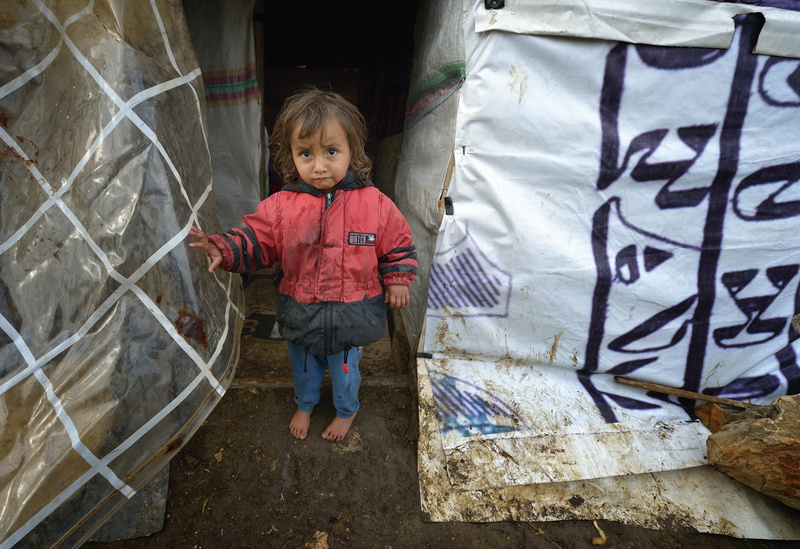 “We have called UNHCR several times, but they never answer the phone, and there’s no permanent office to go to,” said Ghaziya al-Houmaydan, a refugee who, six months ago, fled bombing in her hometown of Homs, Syria, and who now lives in a tent in the Bekaa Valley. Hessen Sayah, project manager for Syrian refugees for Caritas Lebanon, the local church’s charitable agency, said she hears about the problem all the time. “People call our Caritas hotline to ask for help with calling UNHCR, saying it’s always busy or no one answers. We tell them to call again. And we take their names to tell UNHCR about them, especially the most vulnerable or urgent cases, like people who need medical assistance,” Sayah told Catholic News Service. No one is sure how many refugees from Syria have already arrived in Lebanon. According to the UNHCR, more than 131,000 Syrian refugees were either registered in Lebanon or had made appointments to be registered as of Nov. 16. The UNHCR said nearly 316,000 additional Syrian refugees have registered or have registrations pending in other neighboring countries. Sayah said she thinks the official number for Lebanon is too low. “We can’t get an accurate count, because many are afraid to register. I think the number is at least double what the UNHCR says,” Sayah told CNS. 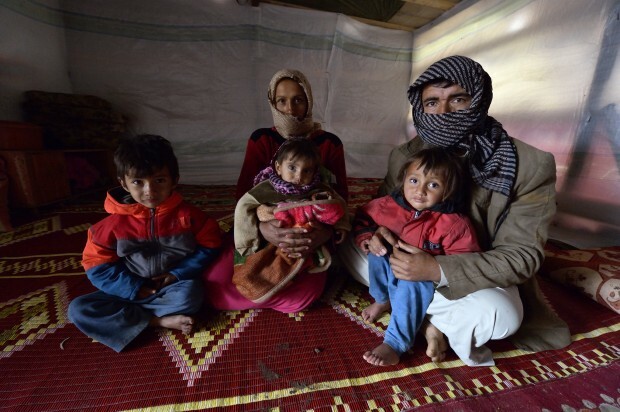 Many refugees are reluctant to register because of misconceptions about the implications. “When we first arrived in Lebanon, people told us that if we registered, we wouldn’t be able to return home. We planned on returning, so we put off registration,” said al-Houmaydan, who acknowledges she received bad advice. Sayah said some Syrian minorities, such as Christians and Kurds, are reluctant to register with the UNHCR. “They’re afraid that if they register, their names will be given to Syrian security, or if the situation improves they will not be able to return. We can’t force them to do it, but we try to convince them that it’s better to be registered,” Sayah said. On top of Syrian nationals who’ve been forced to flee to Lebanon and other countries, Iraqi and Palestinian refugees living in Syria also have fled the fighting. Caritas has helped them, too. It persuaded the government to grant longer visas to the Palestinians and has continued its work with Iraqi refugees in the region. “Almost all the (nongovernmental organizations) here are involved in the Syrian refugee crisis, but Caritas isn’t neglecting the Iraqis,” she said. Like Syrian nationals, they get help from Caritas in the form of food parcels and coupons, cooking equipment, hygiene kits, baby kits, blankets, mattresses, children’s school fees and, as winter approaches, heaters and winterization kits to better seal their homes against the cold. Caritas has a mobile clinic that tours the Bekaa Valley offering free consultations and medicines to all refugees. Its staff includes a gynecologist and a pediatrician. Psycho-social support is also provided, Sayah said, especially for children who have been traumatized by the violence they witnessed. Caritas, which has years of experience working with migrants in Lebanon and is the only NGO present in Beirut’s infamous underground migrant detention facility, also keeps an eye out for women and girls who have been victims of human trafficking. Logistically, it would be easier to monitor and provide services to many refugees if they were housed in a massive camp setting. That’s what the neighboring kingdom of Jordan has done in establishing the massive Zaatari refugee camp near Mafraq, where as many as 45,000 Syrian refugees are living, with more arriving every day. 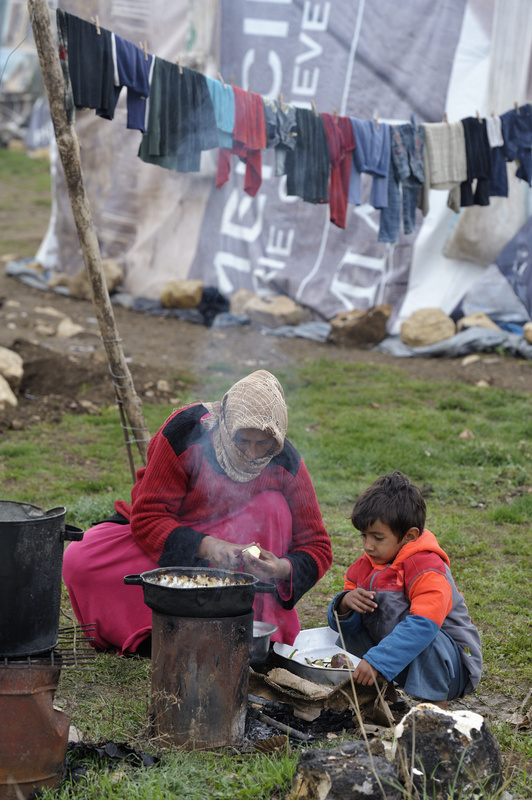 But in Lebanon, the government has opposed the idea of big camps, in part because Lebanon’s political culture — with deep links to Syria’s political factions — is sharply divided over how to respond. Sayah said she’s not optimistic about the near future. The U.N. predicts Lebanon will have 300,000 Syrian refugees by June, but Sayah reiterated that she thinks the official numbers are too conservative. Meanwhile, as more refugees flow in, the demand for living space and services is testing the country’s capacity to host them.